Need a Creative Cloud Disc/DVD, Backup, or Offline CC Installers? We run into each of these situations often enough that it’s become high time to write an article about them… And fortunately, we’ve got solutions to all four of these problems for you, though these are somewhat insider tips and not widely publicized. OK, this is the easier one so we’ll take it first. It solves problems 2, 3, and 4 above. Normally when using the Creative Cloud you don’t have the opportunity to see or store/make copies of the application installer files that are downloaded to your computer – everything happens automat­ically and behind the scenes. But if you use our collection of Adobe CC 2019 Direct Download Links then you can easily get around that if you want… In other words, you can still download, copy, move, install, and back up all your installation files the traditional way when you want or need to – e.g., burn to a disc, put on a USB flash/thumb drive, use on another system, download once and install multiple times on networked computers, etc. IMPORTANT: Please see this update from Adobe about the DVDs. So maybe you thought when Adobe stopped selling boxed software, you might never see another disc from them again, right? Fortunately they realized that not everyone (yet) has the available bandwidth to download large multi-gigabyte files error-free over slow or unsteady Internet connections – especially in rural, remote, or less-developed areas of the world… So good news, Adobe does actually offer the option for Creative Cloud customers to receive free disc media with all the CC 2015 desktop tools on it, whenever and wherever necessary (worldwide). All you have to do to get it is join to be a Cloud member at any level – even if only for one single month… Then contact Adobe’s Customer Service Team (Instant Live Chat works well, click “Still need help? Contact us”), explain the situation, and they’ll send you out a DVD right away contain­ing all the CC applications for Windows or Mac OS, at no extra charge. 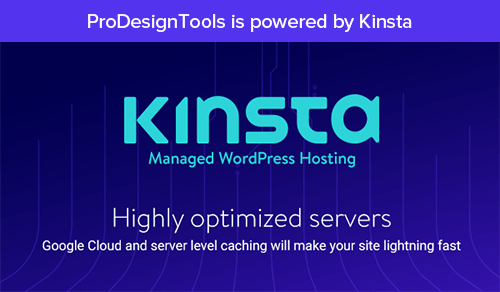 Once you get the tools installed from your disc and running locally on your computer, the software will need to connect online very briefly to validate your member­ship – and then annual members can run for up to 99 days offline without having to revalidate or reconnect. Do you have any further questions on the Creative Cloud? Check out our extensive Creative Cloud FAQ, or just ask them below and we’ll get you answers fast! Here’s what happened. At first I phoned them but after being transferred 3 times I gave up on that and went to chat. Basically what I did was confront the guy from the Customer Service Team with your transcript after he indicated it was not possible. Here’s the transcript I saved from my chat with him. It seems the guy from the Customer Service Team may not have been aware this is actually possible. Adobe Chat: Hello! Welcome to Adobe Customer Service. 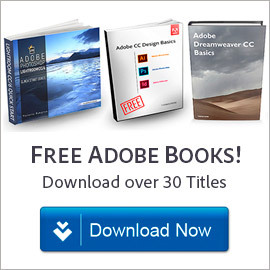 Zen: Hi, I just wanted to confirm that it is still possible for CC customers with slow/limited Internet connection to receive a DVD with the Creative Cloud software from Adobe. Adobe Chat: Please allow me 1-2 minute(s) to review your account details. Adobe Chat: I am really sorry as there is NO DVD for the Creative cloud user as you need to download the product on your own. Zen: That’s not entirely true. At least until summer these DVD’s could be ordered. Zen: Adobe Chat, are you from the Customer Service Team? Adobe Chat: Yes I am from the the customer service team. Adobe Chat: And I have checked with the higher team for the DVD request but I am really sorry as there is no DVD for Creative cloud. Zen: I can show you a transcript between a customer and someone from the Customer Service Team proving that it’s being done. Adobe Chat: I am really sorry as this can’t be done. Zen: Here’s the transcript of a chat someone conducted with Adobe Customer Service on Wednesday, March 9, 2016 11:37:59 AM EST. Adobe Chat: I am really sorry as we cannot send the DVD for CC. Zen: Yes you can, and above transcript proves it. I’ll take my issue to another department that is willing to listen. Sorry. Adobe Chat: Is there anything else I can help you with? Zen: Not for the moment Adobe Chat. Thanks. Adobe Chat: Thank you for contacting Adobe. We are available 7 days a week, 24 hours a day. Goodbye! And that was it. In my time zone it was end of the day so I had to give my attention to other matters. Great, thanks for sharing the chat. You’re right, it seems there is some uncertainty in the experience you had. 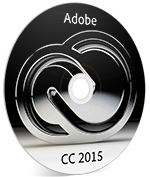 From what we have heard, the DVDs that are currently available from Adobe have not been updated for CC 2017. So for customers in rural areas or those with poor/slow or unreliable Internet connections, we are told that you should still be able to get disc media for CC 2015 or the June 2016 releases. But we will follow up with Adobe using the transcript you provided and report back. In the meantime, if you want CC 2017 instead then we would suggest using the CC 2017 Direct Download Links where you can download the installation files on to a flash drive, or some other removable media, on a computer with strong or stable Internet access – and then install on other system(s). Zen, do you have the case number from your chat? Adobe requested the case numbers from individuals who are unable to obtain the DVD media from June 2016… They say the confusion may lie if talking about CC 2017 DVDs, in which case the reps do not have that available. But if you have the case number from your chat, then they can follow up with the representative about that detail. PS – Also feel free to post or email us the name of the rep you interacted with. You can use the contact form linked at the bottom if this page if you prefer. Thanks, that would be great. But where can I find the case number? It’s not in the transcript as I’d expected. But I do have the start and end time and the name of the rep. I haven’t posted his name here as I didn’t find it appropriate to do so, not knowing if he handled out of ignorance or deliberate. Sure, that’s understandable. It’s surprising that the case number isn’t given in the email transcript. But that’s OK, you can still find it in your online Adobe account under “Support Cases” and then the “All” tab. OK, thanks for emailing us your case number. We sent to our main Adobe contact and they are looking into it, to verify if they have any DVDs left. As previously mentioned, currently, the last copies were produced in June 2016 (for the CC 2015.5 release). They may still have a few copies for individuals who are in low-bandwidth environments. As of this writing, we don’t know yet if/when newer CC 2017 disc media will be available – but stay tuned. We have bought Illustrator and photoshop at your local dealer “Teknet Group” in Madagscar, who asked us to download it. unfortunately due to bad internet connection and large size of the file, we cannot do anything. So we ask you to send DVD as soon as possible. Please answer me on my email. I just contacted them via chat and they insist that they stopped producing DVD’s and the only way to get the software was to download it. They gave me the direct download links and suggested that I use another machine somewhere else with a better internet connection and download them and transfer them. Why would a company make it so inconvenient for a customer to use their product?!? They could easily create DVD’s. Even if they charged a small fee for them and confirmed that you were a paying customer that would be better than no option at all. Thanks… We are awaiting a response and clarification from our primary Adobe contact on this topic, who is out-of-the-office until tomorrow. Following up… We just heard back from our main Adobe contact about the disc media. The Support Product Manager apologizes and confirms that they no longer have any Creative Cloud DVDs available. It is unclear if or when they will have them in the future. So we would suggest seeing if the CC 2018 direct download links (or CC 2017 or CC 2015) can solve the issue for you – you can use these either for downloading the tools without using the CC Desktop App, or for downloading the software on one machine and installing on another. The Product Manager says that for individuals who continue to face difficulties downloading Creative Cloud software, it would be best if they work directly with the Adobe support team. This will allow issues to be escalated if the download error is unable to be resolved, or if you otherwise cannot get the software you paid for. So please reach out, let them know what’s happening, express your feedback, and find solutions! Please also post here (or email us) your case numbers so that we can follow up directly on our end as well. Thanks for the update and all the good work. At the moment of my reply, only a few cc2017 installers are available for download. We cannot make promises for them as we do not have control over the process, but we are staying on top of the situation and hope to see the rest of the offline CC 2017 installers released early in the new year. As soon as they are, we will have the direct download links available from that page. Only a few programs have offline installers and they are also outdated. I have to download the update up to size of the program itself. 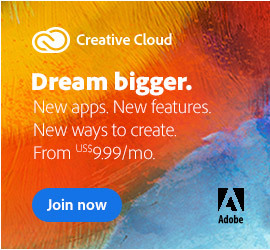 As a Creative Cloud subscription customer, I must say this is extremely annoying. Yes, we completely understand. To date, we still only have the original CC 2017.0 release installers for about half the Creative Cloud tools… This is all Adobe has made available thus far. But that will be changing, hopefully soon. As soon as more direct downloads come out, we will have them for you there. 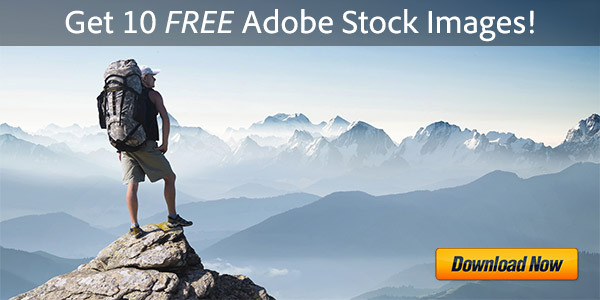 Progress can seem frustratingly glacial, but we remain hopeful that Adobe will get there soon. 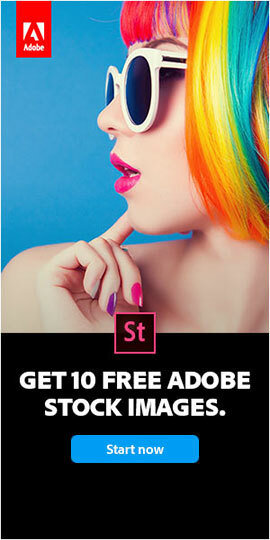 I have been using the Creative Cloud on my PC for a few years now. Recently I had to do a reinstall of the Windows OS. I then went to download and install Adobe back on, so I could use Photoshop and other stuff again like before. I keep getting an error message no matter what I try to do. I then went to chat and let them remote into my PC. They tried and tried but had the same negative results. The ended up telling me that the problem was with my internet connection, and that I need to use another connection. I kept telling them I have no other internet connection, and that I have never had problems before downloading and installing anything off the net. They kept telling me that there was nothing they could do until I used another internet connection. Adobe is not like they used to be, something has changed, and they remind me of trying to deal with AT&T about internet and phone issues. They just don’t get it, they do not seem to care about customer care, as if they are not interested in making it right with you. They have become a big impersonal group and no longer provide CDs or DVDs for a program you pay them for.